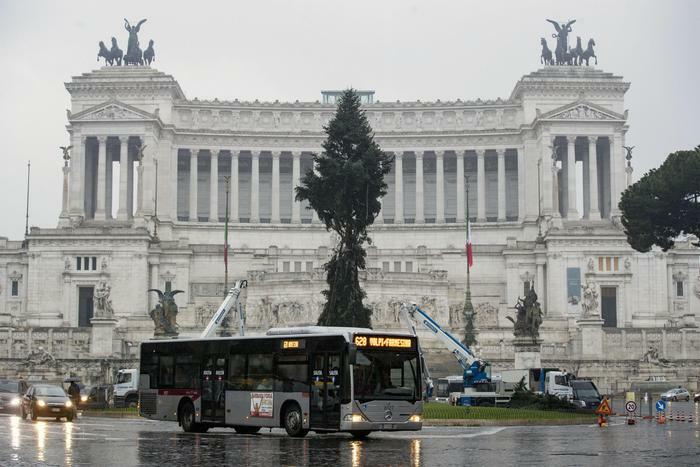 Rome’s Christmas tree arrived in Piazza Venezia on Monday and it isn’t looking too well. The tree has been dubbed “Spelacchio #2”, after last year’s dead and droopy tree which cost taxpayers almost €50,000. The word “spelacchio” translates to threadbare or shabby, and it’s becoming tradition for Rome to house a sad and mangy Christmas tree during the festive season. Sponsored by Netflix, this year’s tree is 20 metres high and will be decorated with 60,000 LED lights and 500 baubles, at a total cost of €376,000. Rome mayor Virginia Raggi will turn on the lights of the tree on Saturday, December 8.